If you use either Netflix or LoveFilm Instant you might have encountered an error that is preventing you from watching TV shows or movies online. Netflix are much more instructive with their error messages and actually give an error code as well. 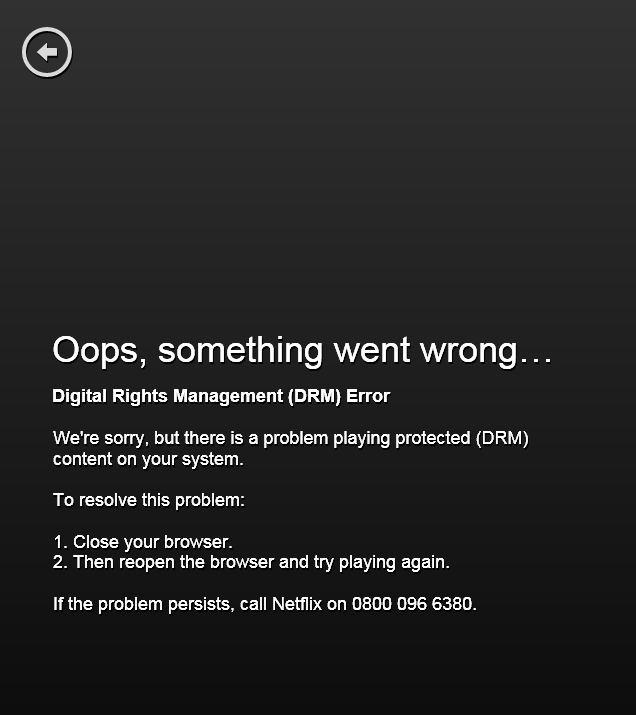 We’re sorry, but there is a problem playing protected (DRM) content on your system. Then reopen the browser and try playing again. LoveFilm are not nearly as informative as to what has gone wrong (as you can see in the screen capture to the right). Sorry, but the requested title is unavailable. Please try again later. Someone in LoveFilm should realise that this makes them look bad when the customer might be better off being told that Silverlight has DRM ‘issues’. Guys, be more informative with your error messages! 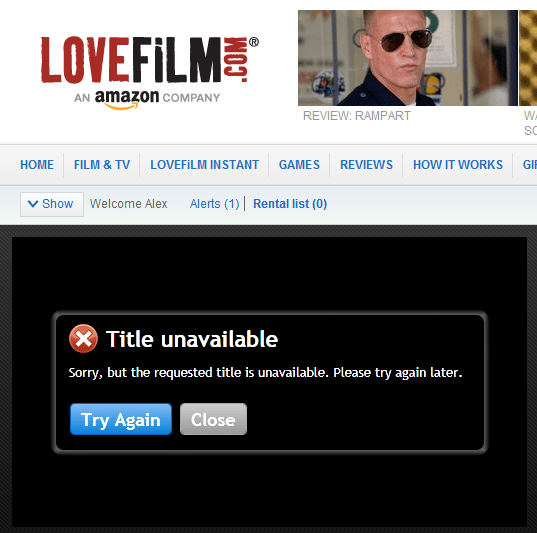 At first I thought LoveFilm was having an issue or down for maintenance. It sounds silly but simply launching your browser as an administrator can fix the issue (at least in Windows 7 or, I’m guessing, Windows Vista). Usually you launch your web browser by left-clicking or the web browser icon. 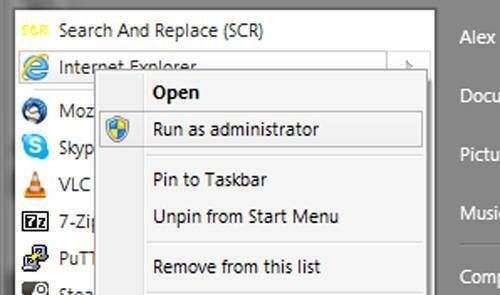 Instead, right-click the browser icon and choose “Run as Administrator” from the menu options. Now go to NetFlix or LoveFilm and login, and hey presto, it’s working again! I’m not entirely sure why but it must have something to do with the mspr.hds file not being properly set when the browser initiates it from a normal user level. You can now close the admin level browser and watch the Netflix/LoveFilm in the normal manner. The above worked straight off for me, no issues! If it doesn’t work for you, you can try other suggestions from Netflix and LoveFilm which I summarise below. Both Netflix and LoveFilm suggest a few solutions. Try out Chrome, Firefox, Internet Explorer – any browser you’re not currently using. Ensure latest version of Silverlight is installed. If you have the latest version, try reinstalling it. Find the file mspr.hds (on Win7 it should be located at C:\ProgramData\Microsoft\PlayReady\mspr.hds) and either rename it or delete it. You’re probably best renaming it in case you’ve got any other DRM licenses stored in that file. It’s possible that one of the above solutions will work for you.